Recently, I gave my guest room a big makeover. You have to see the before photo to really appreciate the full transformation. Since the makeover, we’ve already housed a handful of guests. 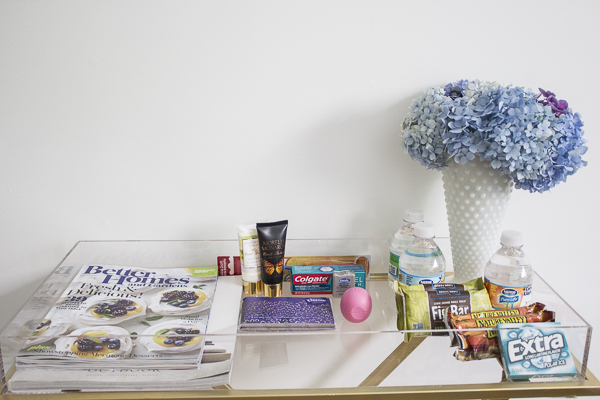 For the final touch, I wanted to put together an organized space with some basic essentials that our guests may need and use. I think this little gesture can go a long way in welcoming your friends and family into your home. 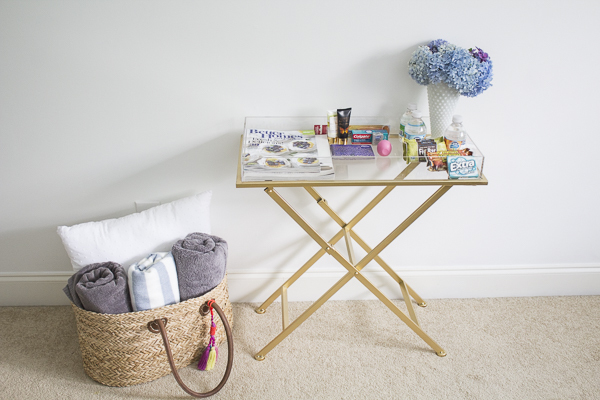 Even if you don’t have a separate space for your guests, providing a little welcome basket can go a long way in showing hospitality. Here are some things I put together for our guests. For our guest room, we have a couple sets of gray towels. Our family uses white towels and this is an easy method to keeping them separate. The guest towels are always fresher since they’re used less often. 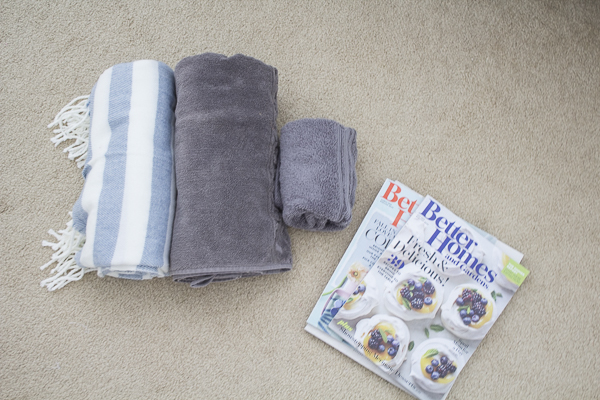 I also threw in a soft throw blanket and some magazines. 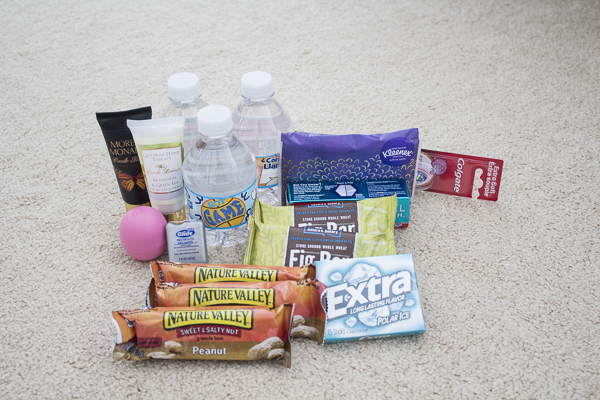 I placed water bottles, snacks, gum, lotion, Kleenex and some lip balm. You never know when they need a late night snack. It’s also a good idea to put an extra toothbrush, toothpaste, and floss. Since the bathroom is across from the bathroom, I make sure it’s stocked with enough soap, shampoo and conditioner. I added a frame in the room to share our WiFi information. 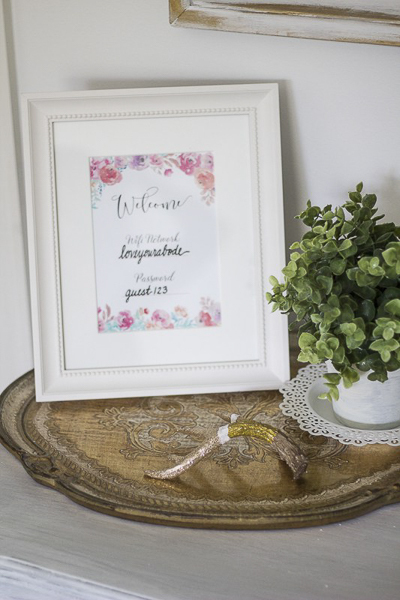 This makes it super convenient for guests and it doubles as decor. This bar cart was being used in another room and I decided to bring it in here to organize and group these essentials. Flowers cut from the backyard add yet another touch to welcoming our guests. 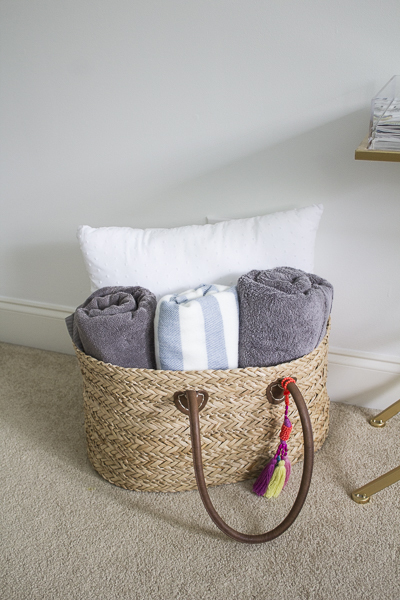 I combined the guest towels, blanket, and an extra pillow in a basket tote. Now, it doesn’t have to be fancy at all. 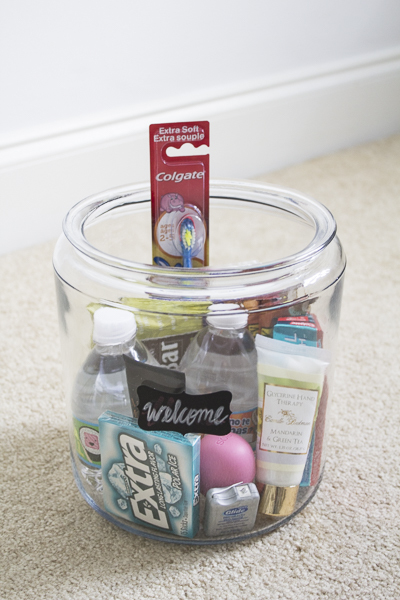 You could place all of these items in a simple basket or container. Everything fit nicely into this wooden crate. I like that the glass container helps group the smaller items and organized in the larger crate. I’m thinking of leaving this on the chair in the bedroom to welcome our future guests. 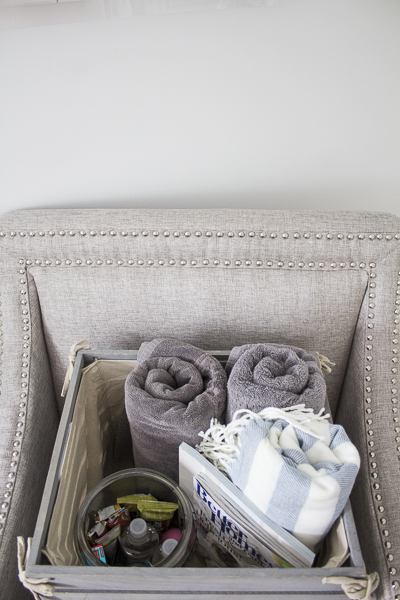 Do you create a welcome basket for your guests? 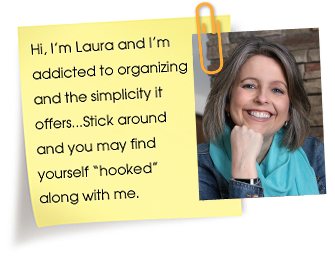 What other items do you like to provide? That is so warm and inviting! I’m sure your guests enjoy staying with you! We don’t have a guest bedroom, we just set up a roll-a-way bed for my mother-in-law. However, I do give her magazines, and extra blanket, and shampoo, conditioner and soap. I never thought about also providing her with lotion and toothbrush. Thanks for the suggestion. I love that, Brenda! We definitely don’t need an extra room to share our hospitality with others. Thanks so much for your sweet comment! Love these suggestions! 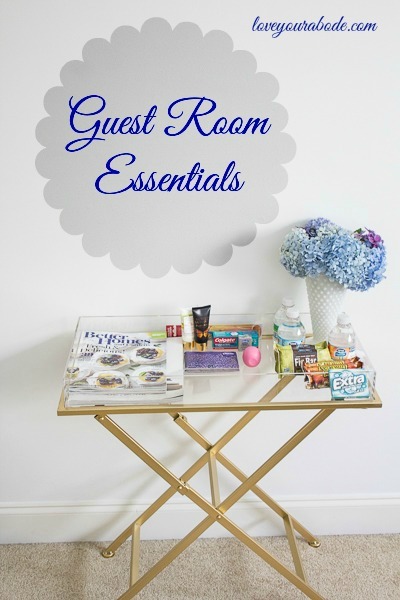 It is great to have an extra room when guests come so they feel like they have their own space. I love all the little details you added! Love this! Such a wonderful surprise to find when staying in someone else’s home.